The blog entry before the epic Ama Dablam "summit day" account may seem like an unusual place to (re)include the profile of a truly inspirational person who I've "met along the way" - and one that certainly inspired me to push on through the past two months on both the Himalayan 8500m giant Makalu and the stunning 6800m technical peak, Ama Dablam. 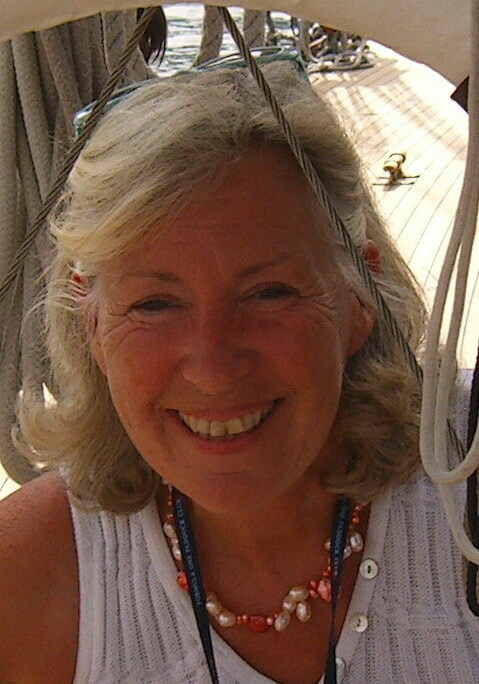 Christine Mills, MBE and the charity founded by Christine, "Hope for Tomorrow" have provided me with heaps of strength and energy to put one foot in front of the other over the past months both in preparing for the expedition and during my time on the mountains. Christine is certainly more than one of the 'people you meet along the way'. She is someone who I feel incredibly fortunate to have met and I genuinely can't be more delighted to have had the opportunity to support Hope for Tomorrow to bring her vision and personal commitment to bring cancer treatment 'closer to home' through mobile chemotherapy units. 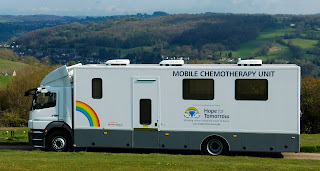 I have been inspired by her vision, her personal commitment to the charity and her tireless efforts to bring cancer treatment closer to home through mobile chemotherapy units. Over 3000 patients have been treated so far, saving over 70,000 miles of travel. 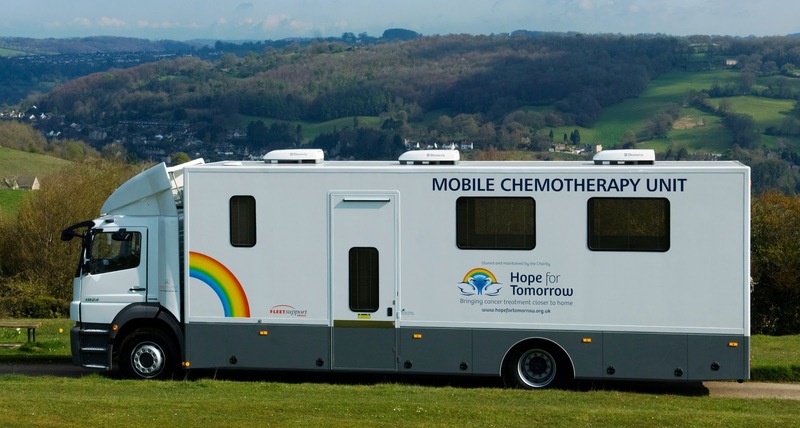 The charity's ambition is to have one mobile-unit in every county in the UK. If you were to go on an expedition for 2 months and hand-pick a team of individuals to be on your team, who would you pick and why? Sir Stirling and Lady Moss – great friends through thick and thin whom I treasure, and without whom I wouldn’t contemplate commencing such a challenge. Stirling being the ‘Gadget Master’, will be a marvellous asset as he will no doubt bring along with him all the latest devices and technology, to keep us on the right route. Derek Bell – for his wonderful sense of humour and his renowned endurance, having won the Le Mans 24 hour race 5 times. Derek is a great friend, and was managed by my husband David for over 20 years. Dr David English – who wanted to climb ‘Mount Hope for Tomorrow’ with me, and offered his ‘services’ as my Sherpa/Guide. David will add his enthusiasm and inject energy into the team, keeping us all smiling with his jokes and stories. Mary Berry – a Bath schoolgirl and AGA cook extraordinaire, Mary would provide wonderful food and a little of the ‘home comforts’ that we would miss up on the mountainside, one of which for me would be my 1934 AGA, with its constant warmth and promise of wonderful cuisine. Chris Rea – as our very own ‘Bard’, so that we can sit round the camp fire at night, listening to his wonderfully distinctive husky voice as he commemorates our mountainside adventures. Chris has been a long standing and valued friend of mine and David’s over the years. Dr Sean Elyan – to ensure the health and wellbeing of my team, I couldn’t go without Sean, with who’s help I launched the Charity back in 2003. Sean and I share the same vision and I know that with his company on the ‘climb’, we’ll always arrive at our destination, no matter what obstacles may lie in our path. What was the biggest mountain that you've ever climbed - either figuratively or literally..?